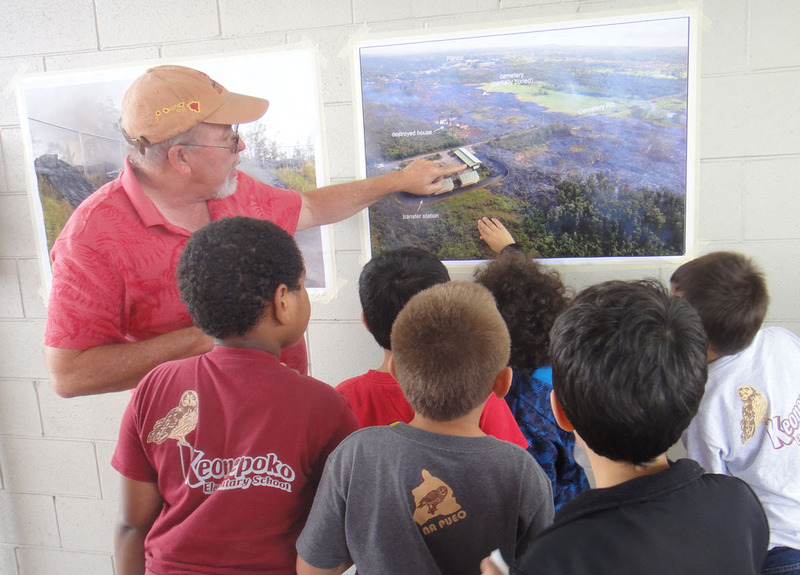 The students viewed seven different learning stations hosted by scientists and experts from Civil Defense, UH Hilo’s Center for the Study of Active Volcanoes, UH Hilo Department of Geology, and Hawai‘i Electric Light Company. 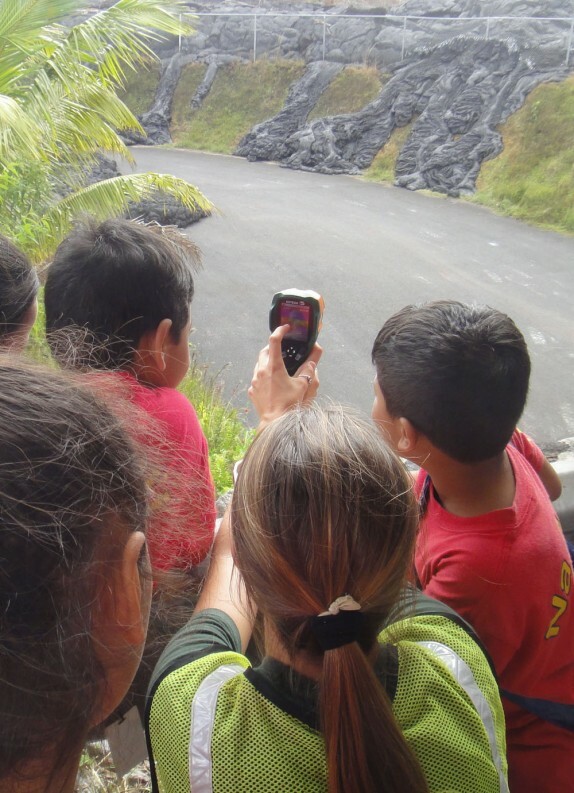 Yesterday more than 300 Pāhoa Elementary students became the first of more than 1,000 students this week who will get a close-up view of a lava flow that forced them to change schools. 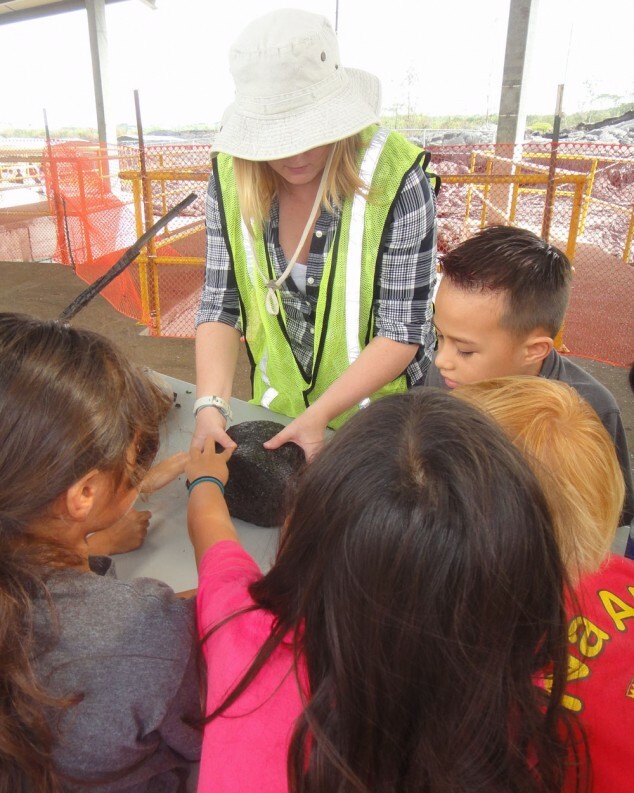 The field trip turned into a hands-on science lesson as students met with geologists, touched hardened lava, and shared their feelings of relocating to a new school. 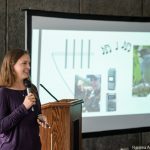 Students were invited by Hawai‘i County Civil Defense and other county officials and geologists to view parts of Apa‘a Street and the Pāhoa Transfer Station, closed due to lava from the June 27 lava flow. 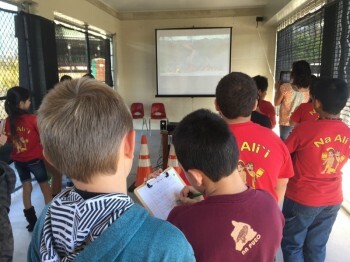 The students viewed seven different learning stations hosted by scientists and experts from Civil Defense, the University of Hawai‘i at Hilo’s Center for the Study of Active Volcanoes (CSAV), UH Hilo Department of Geology, and Hawai‘i Electric Light Company. Each station featured hands-on activities to engage students, including an informational video by UH Hilo geologists Cheryl Gansecki and Ken Hon, demonstrations of the speed of the lava, and interactive games. 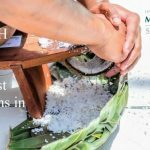 See informational videos by Drs. Gansecki and Hon. 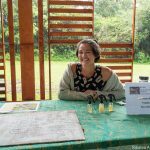 Ten UH Hilo geology majors are helping with interpretation during the tours. 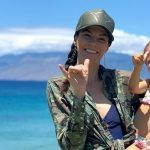 The most poignant moment came when students offered a makana (gift) to Pele at the edge of the now-stalled lava flow and talked about their feelings about being at a new school. After offering their gift, students were able to touch the fresh lava and see that although it has since cooled on the surface, it is still sharp and continues to cool underneath. To demonstrate the speed of the lava flow (averaging about 60 feet per hour), volunteers asked students to shuffle their feet a minute over the length of a few inches. 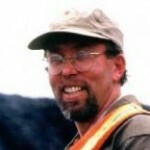 “You don’t have to outrun the lava, you can outwalk it,” says Don Thomas, director for UH Hilo’s Center for the Study of Active Volcanoes. 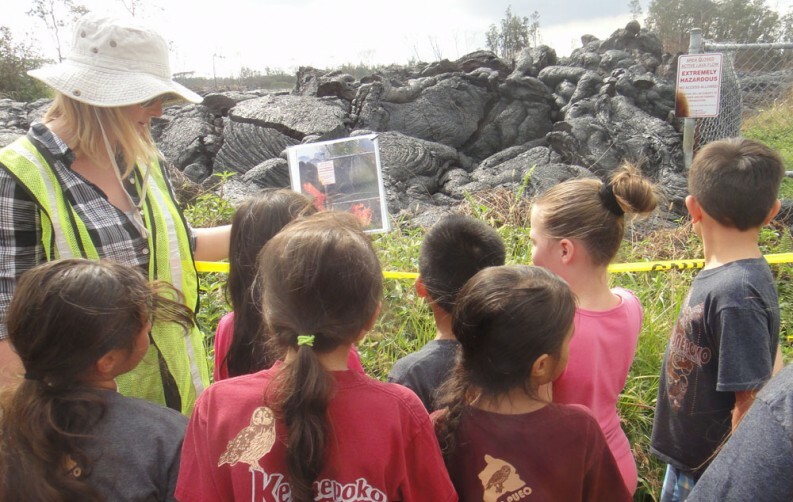 “I found it interesting because we got to meet the Civil Defense people and see what they did for us when it came to access roads in case the lava came,” says one student. DOE photos of student tour can be viewed here. -Adapted from DOE press release. 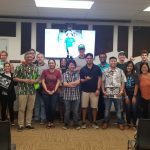 This post was updated on Dec. 10 with the addition of photos and information from Ken Hon about UH Hilo contribution to the tours. Children are shown “before” and “after” contrast of lava flow. Hands-on learning of a thermal gun. Learning about the texture of pahoehoe lava. 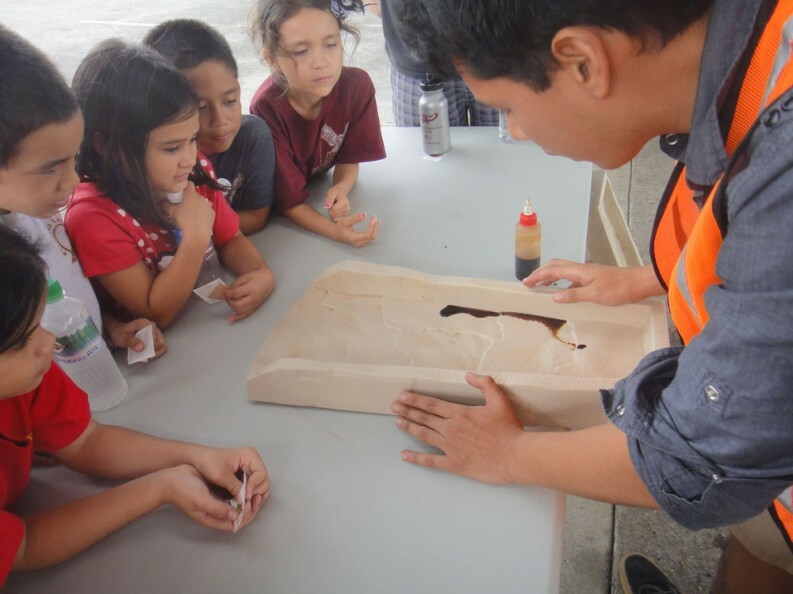 Students learn how lava flows by watching UH Hilo geology student Roger Medina use molasses to demonstrate on a topography mold. 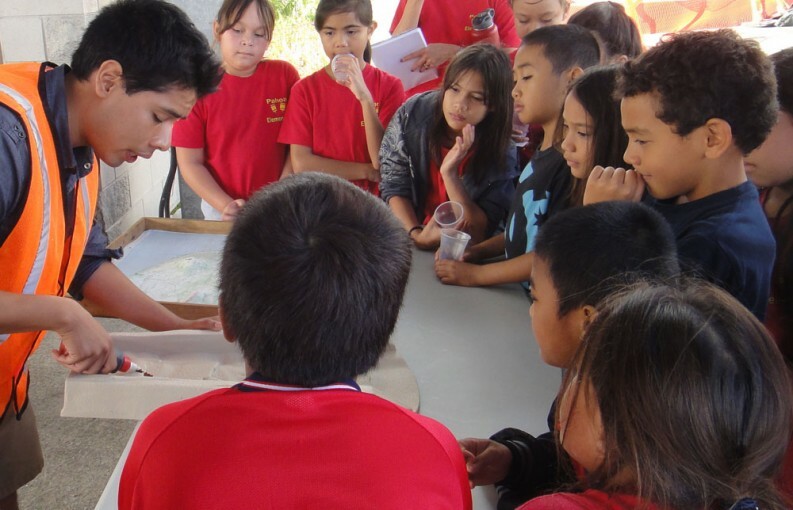 UH Hilo geology student Roger Medina shows school children how lava flows with a demo of molasses on a topography mold.